I'm an '80s baby, which means I was born at the greatest time ever. I grew up listening to music by--and trying to emulate the dance moves of--Michael Jackson. I watched great television shows created by Bill Cosby. I ate sweetened cereal that came with prizes in the box, and sat down with a big bowl in front of Saturday morning cartoons. I witnessed some of the greatest movies come to the big screen, and when my parents bought a VCR sometime around 1985, we watched many of those movies at home on our floor-model TV. But of all the entertaining marvels I was fortunate to have witnessed because of the era in which I was born, there are two that top them all: the aforementioned Michael Jackson and the other MJ: Michael Jordan. 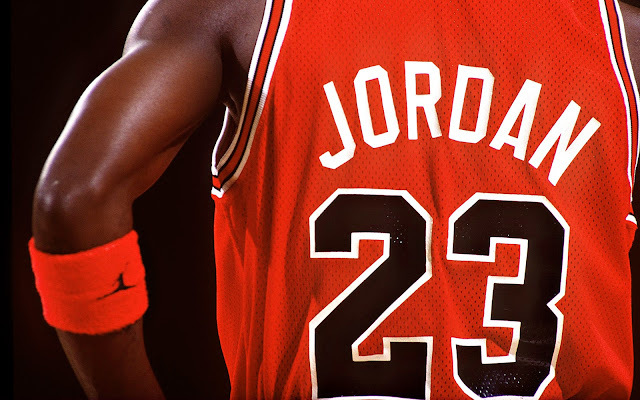 Jordan turned 50 today, which you already know, sparking reflection throughout the sports and non-sports world. It's only fitting that his 50th birthday falls on the same day as this year's NBA All-Star Game (he threw a star-studded bash Friday night in Houston), and that sports news giant ESPN has spent the past two weeks counting down to this momentous occasion. Sports analysts, reporters, bloggers, and anyone with a social media account have opined on what Jordan has meant to the game of basketball, sports as a whole, pop culture, fashion, and to their individual lives. He's widely considered the greatest basketball player of all time, and he's the player every great player after him is and will be forever compared to, i.e. Kobe Bryant and LeBron James. For me, personally, it's kind of hard to believe that Jordan is now 50 years old. But contrary to the media reports as to how he's dealing with growing older, we're the ones who are actually getting old. When you're as great and legendary as Jordan--and for him to have played his entire professional career at a time that allowed it to be captured on video--the stories that will be told about him 50 years from now will be supplemented by highlight films of him hitting game-winning shots, dunking over star players, waving championship trophies in the air, gliding from the free throw line, endorsing major brands and products, and releasing sneakers that bear his name and that people rush to the stores to buy years after he's quit playing. I was a Chicago Bulls fan growing up, even though I'd never been to Chicago nor had I seen the Bulls play in person. I was a fan because as I was learning about the game of basketball and watching NBA games on TV for the first time, No. 23 was mesmerizing us. When my brother and I and numerous friends would play countless games on our backyard court, we all dreamed of playing like Jordan. When he retired for the first time in 1993, I was devastated. And when Jordan returned to the NBA in the spring of 1995, I remember his first game back being on a Sunday and how I couldn't wait to get home from church and watch the nationally televised game. Then the following season, when the Bulls won a record 72 games and embarked on their second three-peat, I couldn't wait to watch every game I could. His absence during his year-and-a-half-long retirement taught me not to take witnessing greatness for granted. No other athlete, entertainer, or icon, for that matter, has had as large an impact on culture the way Jordan has. I was happy when he became majority owner of the Charlotte Bobcats a few years ago and made Charlotte his part-time home, just so I could have that association with him (and be able point to his Uptown condo when I have guests visiting from out of town). Now, Jordan needs to prove he can build a winning NBA franchise as an executive. I'm sure Jordan feels he has a lot left to accomplish in life, and why wouldn't he? But regardless, he's already left an indelible mark on the world and hundreds of millions of people. We all want to witness greatness, even if it's from a distance. Or for the once-in-a-lifetime chance to come face to face with it, like some kid named Justin Bieber had a few weeks ago. 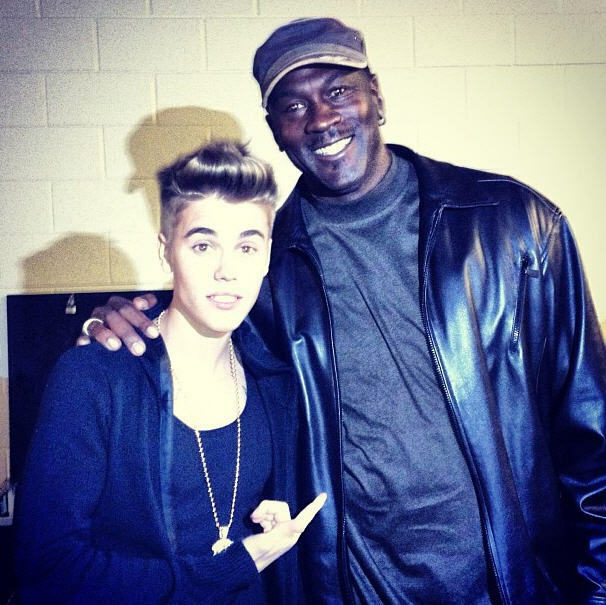 I have three teen-aged nephews who are between two and four years younger than Bieber, and like him they're too young to remember the peak of Jordan's playing days. But they all know who he is, and they all want to wear his sneakers. Decades later, we all still want to be like Mike. Below are links to a few of the many recent news stories and reflections on Michael Jordan's legacy now that he's turned 50 years old. For the first ten years of Michael's career, virtually every game we saw something...a move, a pass, a dunk, a hanging mid-air shot...nobody had ever done before with a basketball. You cannot know unless you were there. It was the day-to-day minutiae of a long season which made him the GOAT. Michael Jordan is one of the great athlete ever.. Respect ! !